Internet marketing has given rise to all manner of bogus cottage industries, not least among them what Internet Marketing Direct CEO John Mu recently called “SEO cyber piracy.” According to Mu, a SEO pirate is a company offering cut-rate deals on internet marketing packages. The reason these companies can afford to undercut their competition is of course that their strategy is grounded firmly in generating garbage links en masse (if you run a blog you’ve probably seen a fair amount of their “product” in the comment sections of your posts). What many business owners don’t realize, Mu explained, is that Google punishes websites for gaming the system when it updates its search ranking algorithm, Panda. Once Google updates its algorithms, it weeds out all the unnatural links and removes them permanently. 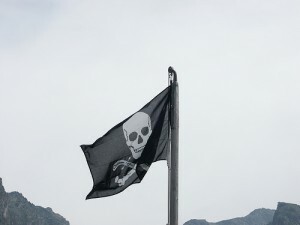 Depending on the severity of the pirate’s actions, Google may even ban and sandbox business websites. This means that businesses are paying SEO cyber pirates for links that were destined to be taken away. Businesses will have lost precious time, lost money for paying SEO, and most importantly lost potential online clients and sales. Unnaturally low rates. As always, if a deal looks too good to be true it probably is. Location. China and India are popular hubs for cut-rate SEO businesses. Strategy. SEO pirates are always looking short-term. Their goal isn’t to help you grow your business, but to generate just enough traffic to your website to justify a paycheck. As always you should be wary of anyone promising something for nothing (or in this case, next to nothing). Strive to handle SEO in-house, but if you can’t muster the knowledge, resources or time make sure to contract with care. Research any SEO firm carefully, particularly if it’s based in a cut-rate hub like China or India. Posted in SEO.Tagged internet marketing, outsourcing, SEO.